It's The Brand New Trailer For X-MEN: APOCALYPSE | Warped Factor - Words in the Key of Geek. 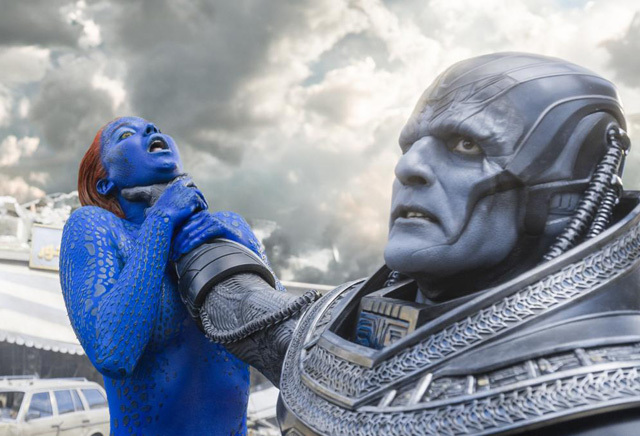 20th Century Fox has released a brand new trailer for X-Men: Apocalypse! Check out the trailer below, and get another look at Director Bryan Singer's new X-Men film starring (deep breath), James McAvoy, Michael Fassbender, Jennifer Lawrence, Oscar Isaac, Nicholas Hoult, Rose Byrne, Tye Sheridan, Sophie Turner, Olivia Munn, Lucas Till, Evan Peters, Kodi Smit-McPhee, Alexandra Shipp, Josh Helman, Lana Condor, and (phew) Ben Hardy.